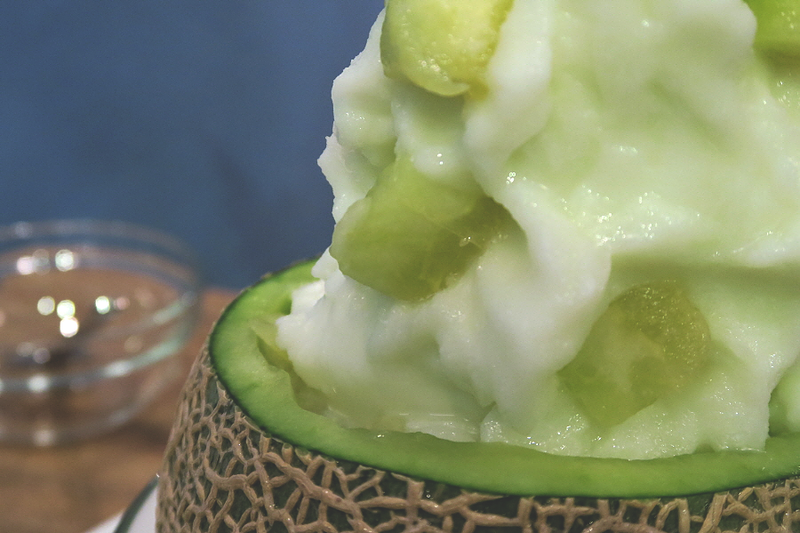 For the hottest days of summer, nothing will bring you back to life faster than this enormous melon and pineapple bingsu. 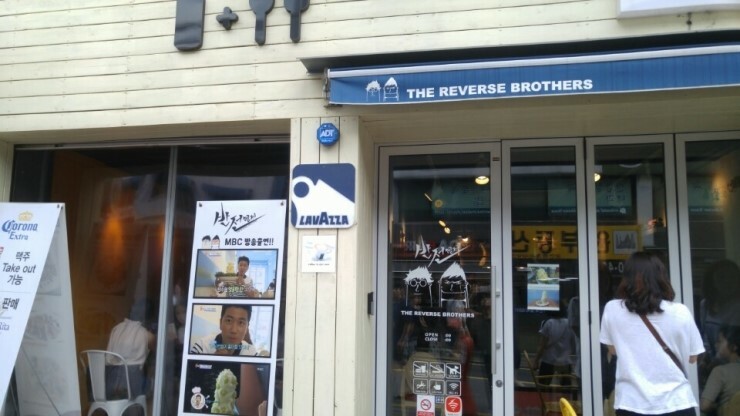 The Reverse Brothers cafe is famous for this treat, and its best followed with a walk through the winding streets of Itaewon. 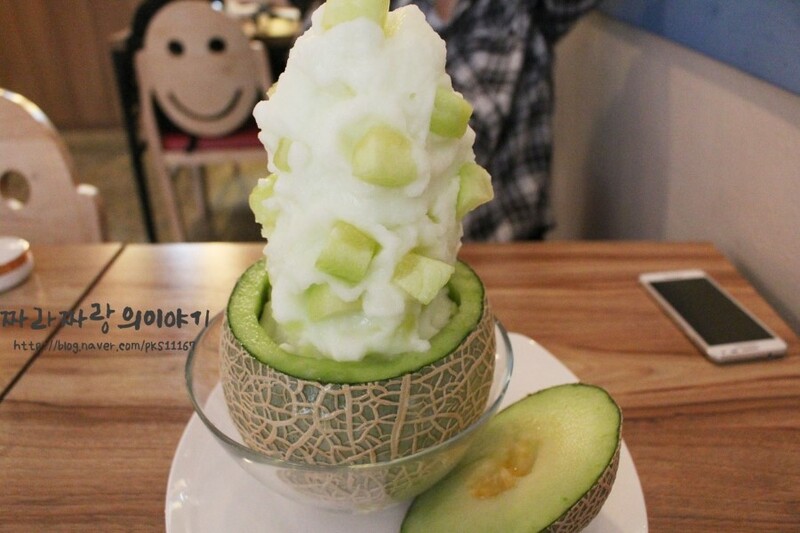 Melon Bingsu not only looks amazing but tasted great too.They use fresh melon (honeydew) balls carved right out of the melon bowl they serve it in. 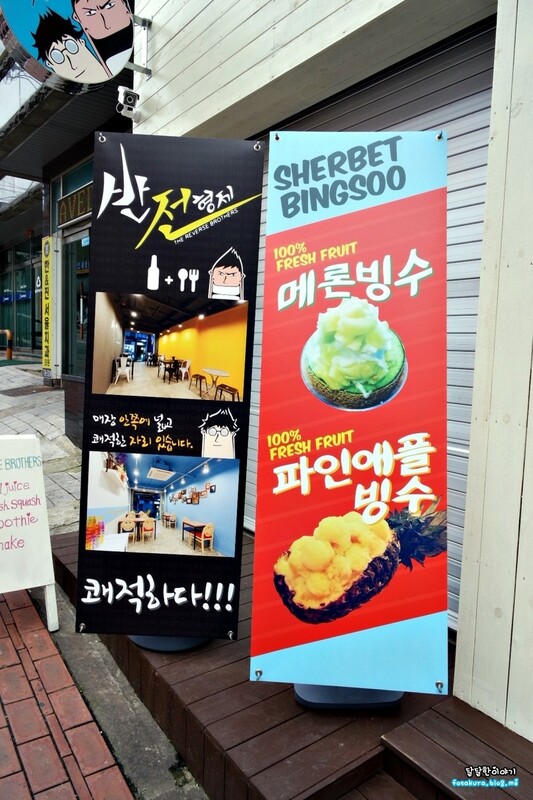 The melon balls are perfectly ripe and placed nicely on top of the fine milk ice. It gets more milky towards the centre and bottom. 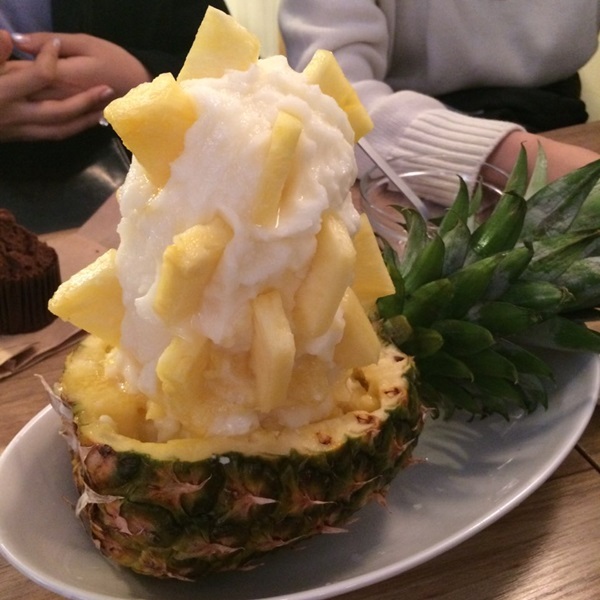 Pineapple bingsu in which pieces of pineapple are piled up inside the half-cut fibrous shell, with shaved ice and condensed milk further down. The treat is finished off with a scoop of vanilla ice cream and boiled adzuki beans, served separate from the pineapple container. 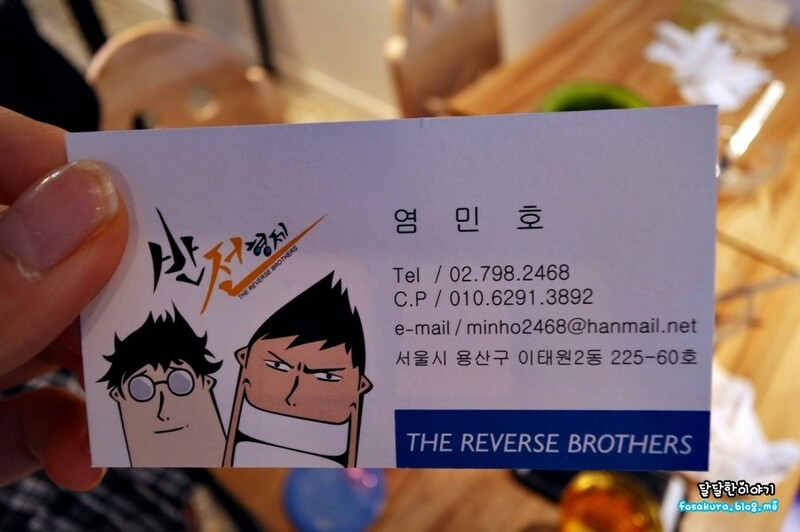 This entry was posted in FOOD and tagged accommodation in Seoul, activity in Korea, Dining, dining in Korea, dining in Seoul, Food, food in Korea, food in seoul, halal, Itaewon, Korea, Korea travel, Korea trip, Korean, Korean food, Koreatrip, local activity, Seoul, south korea, ‪‎travel, travel planning, ‪‎traveling‬, traveller, trip.